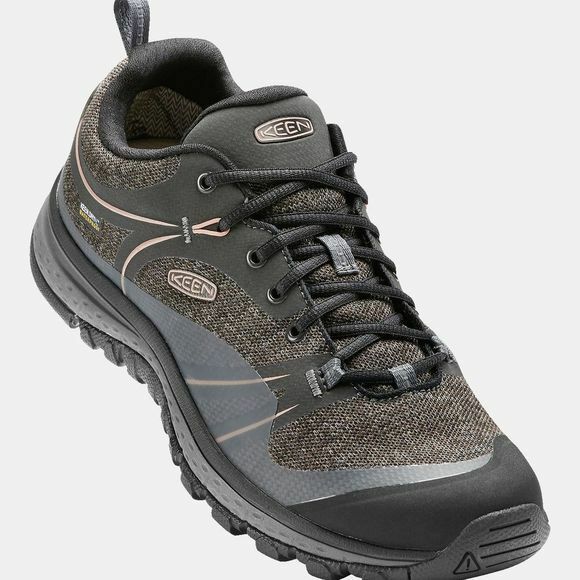 The Women's Terradora Waterproof Shoe from Keen is a lightweight hiking shoe that doubles as an around-town trekker. With a glove-like fit it delivers flexible freedom and all-day comfort. The Keen.Dry membrane helps to keep your feet dry in damp conditions while being excellently breathable to ensure a healthy environment for your feet.